PiP Studio is a Dutch brand, named after an Amsterdam designer called Pip and the studio in her attic. 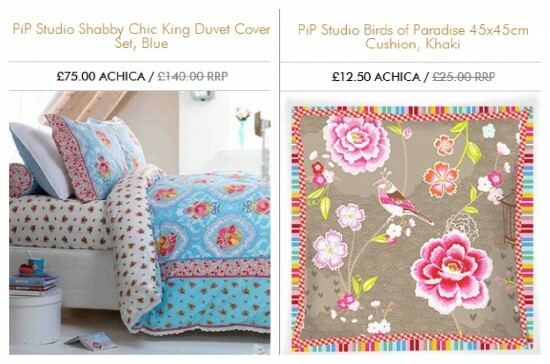 Products include bedding, wallpaper, bags and stationery. I’ve heard a few people talking about PiP Studio in recent months, in the same breath as Cath Kidston – or even as the “new Cath Kidston” – and if you look at the bright colours and the vintage prints and patterns, you can see why. 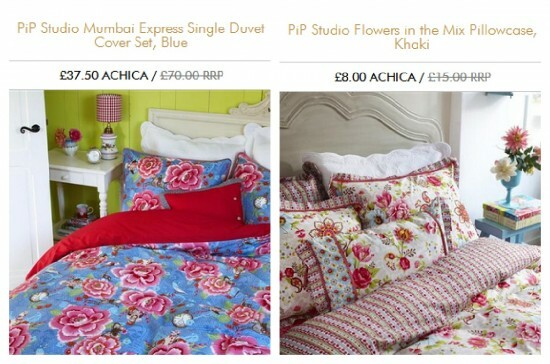 There is certainly a buzz around PiP Studio right now… but seriously, the prices are eyewatering. 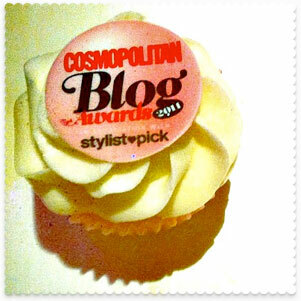 They make Cath Kidston look cheap! 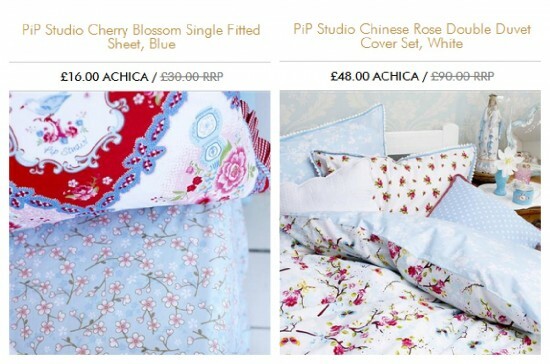 So when I saw that there was a three-day sale of PiP Studio bed and bath ranges on ACHICA, the online lifestyle store specialising in flash sales, I was in two minds whether or not to include it. But then I thought heck, why not? The price tags have been heavily discounted and, although the sale prices will still be too much for some of the readers of this blog, they will mean bargains for others. These items appear to be selling fast. Besides, I’m happy to have the opportunity to put some of the PiP products up – I think they look great (she says, drooling over the computer keyboard while eyeing the linen drawer wistfully…). It’s free to sign up to ACHICA and access these deals, although do be warned – there are lots of lovely sales to tempt you to open your wallet. 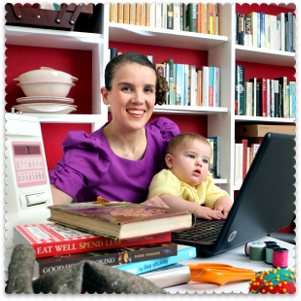 If you are new to ACHICA, you can also save £10 on your first order by following this link and signing up for the site. I get a £10 voucher every time someone does this; if 10 people sign up, I’ll run a giveaway to win £100 to spend on the site.